An ORSP PR initiates the AAR in eRPM. The AAR then appears in the project team’s eRPM work queue. The Project Team/PI edits the AAR as needed. The PI, the Department Chair and (sometimes) the Dean approve or decline the AAR, in that order. If for a publication restriction, the final approval of AARs rests with the Vice President for Research. ORSP PRs will provide input and advice in the preparation of an AAR. 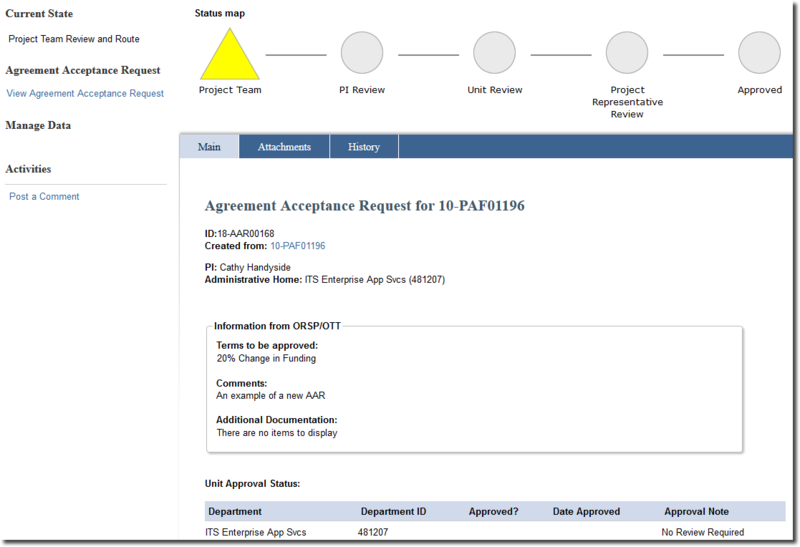 An Agreement Acceptance Request (AAR) is a form in the eResearch Proposal Management System (eRPM). Prior to accepting an award on behalf of U-M, ORSP reviews it to ensure that the notice of award or contract does not introduce certain requirements that had not been approved at the time the original Proposal Approval Form (PAF) was routed. Certain changes to the award require additional approvals. 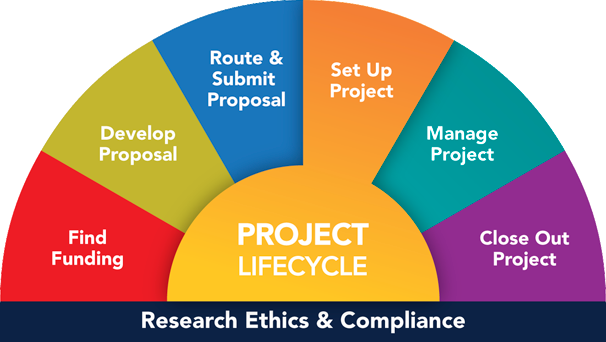 Those are initiated through an Agreement Acceptance Request (AAR) activity via the eResearch Proposal Management System (eRPM). 20% Change in Funding - When there is a total sponsor funding change of 20% or more, the change must be noted and approved by all impacted parties. This may trigger the need for a new statement of work and revised budget. Cost Sharing Change - When there are any changes that modify U-M's cost sharing commitment, they must be noted and approved by all impacted parties. This may trigger the need for a revised budget. External Audit - Sometimes a project-specific external audit requirement beyond U-M’s standard annual audits is required. This change must be noted and approved by all impacted parties as it may incur additional costs that could be in the range of $10-15k. F&A* Rate Change - When there are changes to Facilities & Administrative (F&A)* cost rate change, the rate change must be noted and approved by all impacted parties. This may trigger the need for a revised budget. Foreign Currency - When U-M will be paid in foreign currency, U-M needs prior approval from Treasury. Governing Law - When governing law other than Michigan is required, U-M requires guidance from our General Counsel. Insurance (Risk Management) - If an agreement requires insurance in excess of U-M’s standard coverage, U-M needs prior approval from Risk Management. IT Security - When information technology (IT) security requirements exceed U-M’s normal security standards, U-M may need prior approval and coordination from representatives from IT systems (ITS), export controls, units, and/or others as applicable. Publication Restriction - When there are restrictions that grant a sponsor prior approval rights before publishing, or when a publication restriction grants the sponsor prior review rights beyond 180 days, the restriction may compromise U-M's openness in research policy, and prior approval is needed. (This was formerly referred to as a "PAF-R" or PAF-restricted). Other - Any other significant change that may require signoff. An ORSP Project Representative (PR) will initiate the AAR, and it will appear in the project team's work queues, so you don't have to use the Posted Comment option. See below.